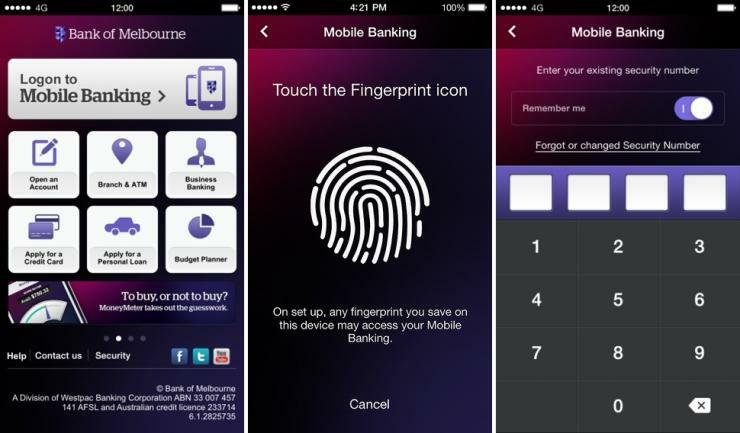 The Bank of Melbourne has claimed a first by adding support for biometric technology within its mobile banking application. From today, iPhone 5s, iPhone 6, and iPhone 6 Plus users who are customers of the Bank will be able to use Apple’s Touch ID fingerprint sensor to log into mobile banking accounts. To use fingerprint option, users will first need to log into the app using the standard PIN and password method and configure their account to register a fingerprint. A Bank of Melbourne spokesperson has told ARN that St George customers can expect the update in the "next few weeks."